Everyone knows not to mess with the Beyhive, Beyonce&apos;s collective of fans, or they will smite you into oblivion. Star Wars fans are the non-music equivalent of the Beyhive, though with more leverage because they&apos;ve been around longer (and possibly include your father who may disown you.) Now that we understand the power of these fandoms, let&apos;s talk about how one Fox News contributor&apos;s mocking of both the Star Wars franchise and its fans led to fans sending her violent messages, threatening her life. Entertainment Weekly reports Fox News contributor Katherine Timpf appeared on Fox&apos;s Red Eye w/ Tom Shillue last month to talk about all the hoopla a new trailer brought. She joked, calling fans "nerds" who were "crazy." 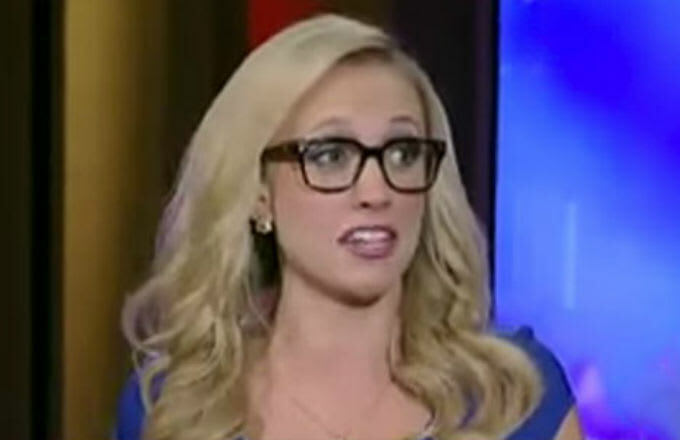 "I have never had any interest in watching space nerds poke each other with their little space nerd sticks, and I&apos;m not going to start now," said Timpf. "You Star Wars people are crazy. Yesterday I tweeted something, and all I said was that I wasn&apos;t familiar with Star Wars because I&apos;ve been too busy liking cool things and being attractive—people threatened my life. You&apos;re not really branding yourself in a way that makes me want to join your life-threatening club." Timpf wrote about the fallout from the incident in the National Review today, providing some of the grotesque comments fans had sent her, most of which can&apos;t be repeated here. One of the comments reads: "I hope she gets acid thrown in her pretty little face." An unapologetic Timpf said she refuses to back down from her "harmless jokes" and took aim at our all too politically correct culture (her words). She wrote, "…the all-too-common knee-jerk reaction of apologizing for harmless jokes after overblown hysteria is ruining our culture. This political-correctness obsession threatens free speech, and I absolutely refuse to be a part of it." Timpf blamed fans who couldn&apos;t take the joke finally concluding, "Bottom line: If you are telling me that I should die and/or apologize for making a joke about a movie you like, then you are too sensitive." Fans may disagree with Timpf when it comes to Star Wars, or other more terrestrial manners, but we can all agree cyberbullying is uncalled for and not tolerable under any circumstance. Harrison Ford and Chewbacca Squash Their Beef on 'Jimmy Kimmel Live' With the Help of Adele's "Hello"